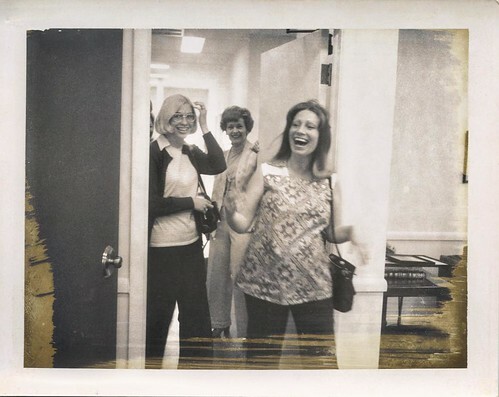 I can’t really put into words how much I love this photo — I’ve always been enchanted by the gold bits left from the old 70s-era polaroid pack film, but most of all, I love the overwhelming joy on my mother’s face as she walked into her own surprise baby shower. It was 1975 and I would arrive in a few short months. As I struggle now to become a mother myself, I find myself increasingly grateful for the life she gave me and for all the ways she nurtured me into the person I’ve become. Happy, happy birthday to my Mom. I love her, today and every day.